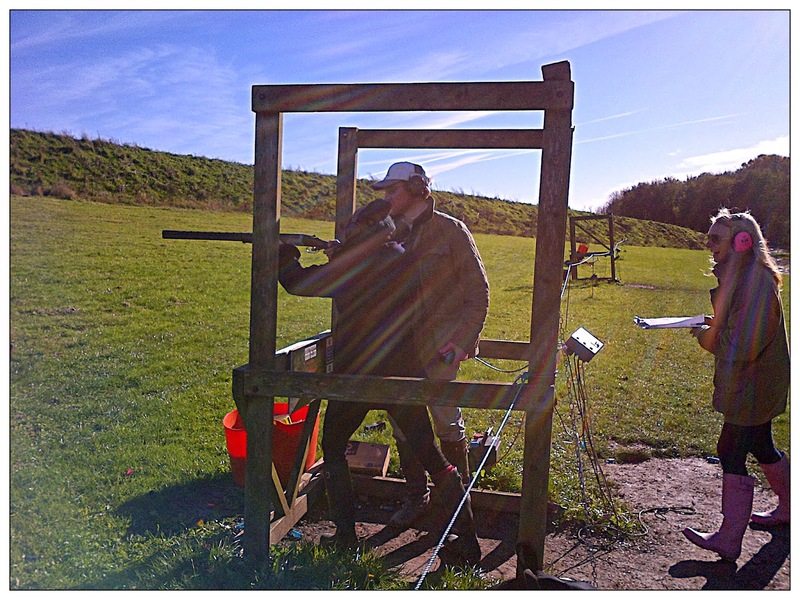 South Down gun club is about 20 minutes up the road from chequers and offers a wide range of "targets" (all of which are clay). For those that have never held a gun or have no idea how to shoot one the club offers lessons. For those more experienced, the club offers competitions and for those that are members or attending with members you can go "up the lane" and have a go at some of the more difficult traps. From what I hear, the lesson went well though I understand my daughter did not take to it like a "duck to water" and spent more time shooting the clouds than clay! What she did say though, as a huge fan of the sussex countryside, is that the setting was beautiful and she can see why people spend their weekends in the south downs enjoying spectacular views whilst revelling in the satisfaction of seeing clay puffing in to the air as they hit on their target! After a great day of shooting clay they came back to the hotel for a well deserved bottle of locally sourced red wine from Hemming's in Pulborough and gluten free sausages and mash which John sources from the wonderful Hungry Guest deli in Petworth...delicious!! For anyone interested in spending a weekend at Chequers with their shooting party, contact John and Lissette for details. Also if you have any allergies like our daughter with gluten let us know when you book and we will source requested food for you (just like our daughter with the sausages)!